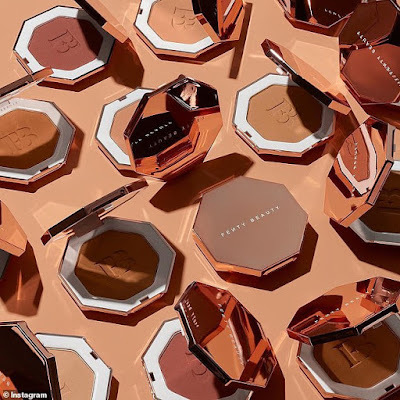 Rihanna shared a very alluring photo to Instagram on Sunday to promote her Fenty makeup line. The 31-year-old wore a bronze sparkly outfit that made the most of her pinup curves as she lay belly down on he ground. The Umbrella singer was made up beautifully in bronze eyeshadow and lipstick.